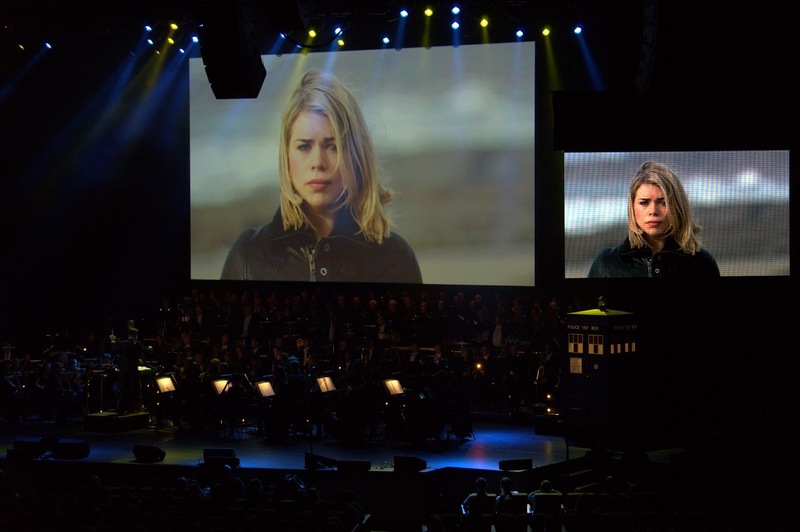 Late last year the BBC science fiction drama Doctor Who celebrated its fiftieth anniversary. 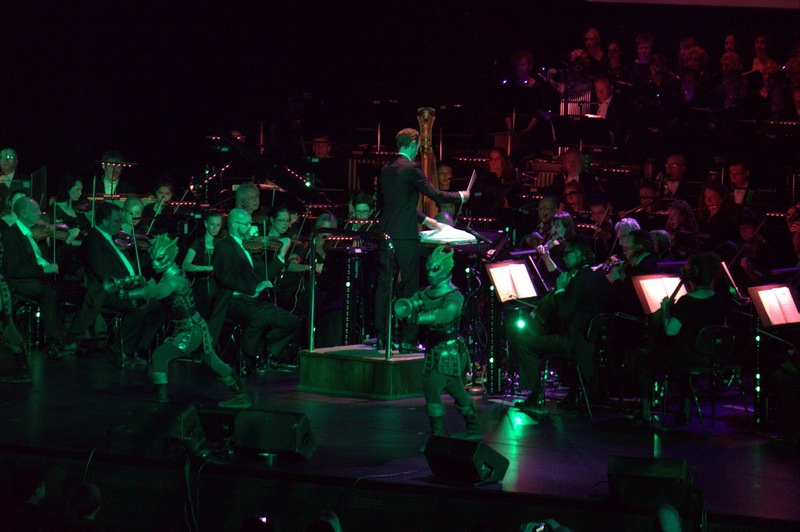 The iconic title music is instantly recognisable, but since the show's reboot in 2005 we have been treated to Murray Gold's excellent incidental score, involving both electronic and orchestral elements. 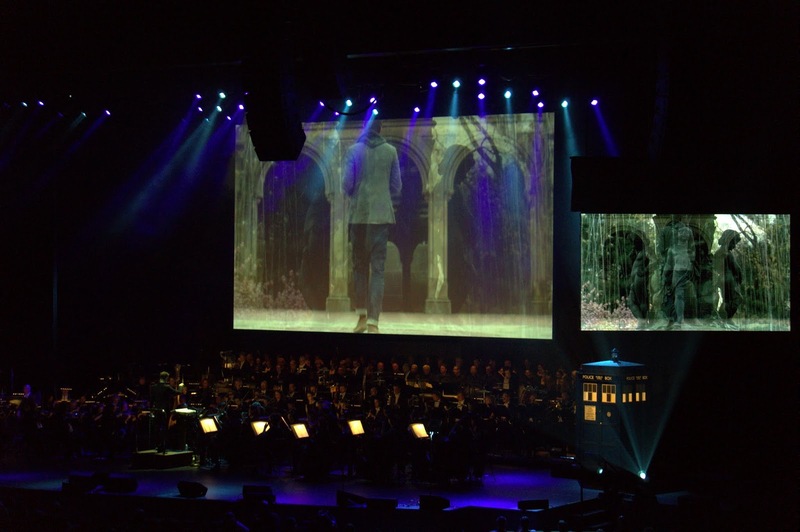 I've been fortunate enough to attend a couple of previous performances of Gold's music from Doctor Who, first in Melbourne, then Sydney, both back in 2012. Naturally, as soon as I heard that another performance was scheduled for Melbourne this year I went and booked straight away. And so it was that B (my wife), Alex (aged 5 now) and I found ourselves down in Melbourne for the Saturday matinee session. 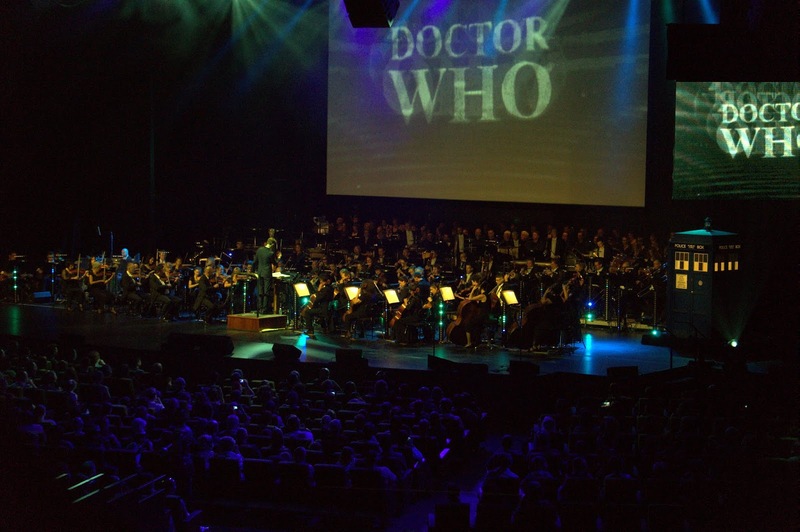 After the two previous performances we knew what to expect at the Melbourne Convention Centre - a crowd with more fezes than all of Morocco, an excellent orchestra (love the Melbourne Symphony), the excellent series orchestrator Ben Foster on conducting duties and lots of Doctor Who aliens populating the show. This time we had Peter Davison as compere, which was a wonderful treat. Davison played the fifth incarnation of the Doctor (and is incidentally the father-in-law of the tenth in real life), the Doctor I grew up with. Befitting of a Doctor whose costume was a cricketing outfit, there were plenty of Ashes jokes. And do watch the Fiveish Doctors - it's a great treat for a fan. 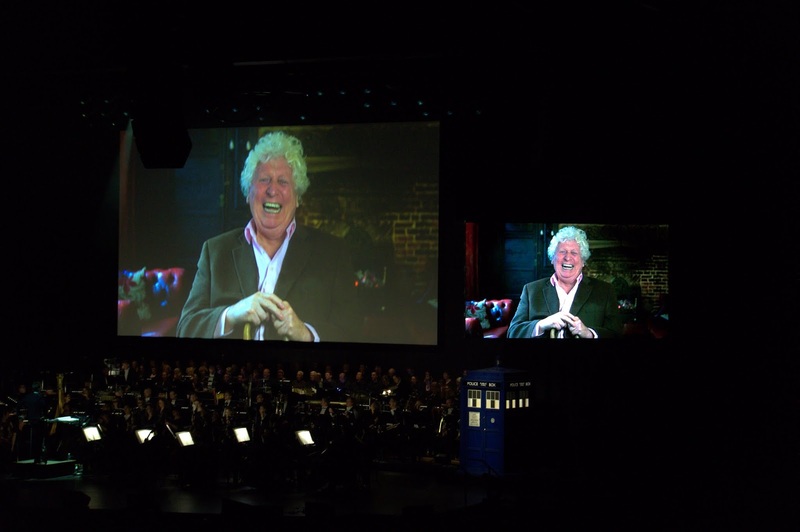 Also fantastic were the pre-recorded videos from Tom Baker, Doctor number four and the favourite of many fans, as he shared anecdotes of his appearance on the fiftieth anniversary episode, his gratitude towards fans and, of course, his special brand of humour. With Alex starting school tomorrow I don't have time for a detailed review, but I'll sketch out some quick notes. A quiet beginning to the concert, same as at Sydney, but it worked pretty well. Maybe The Majestic Tale of a Madman with a Box might have worked better. The theme associated with Matt Smith's 11th Doctor is always exciting and this rendition felt even more energetic than usual. Missed some of the lovely later bars of the original, but the Words Win Wars continuation quickly dispelled any lingering disappointment. Various costumed creatures made their appearance on stage and around the hall. I have lamented before about the lack of music from earlier seasons of the reboot, but here we were treated to a suite of themes for Rose, Martha, Donna and Amy. Lovely. 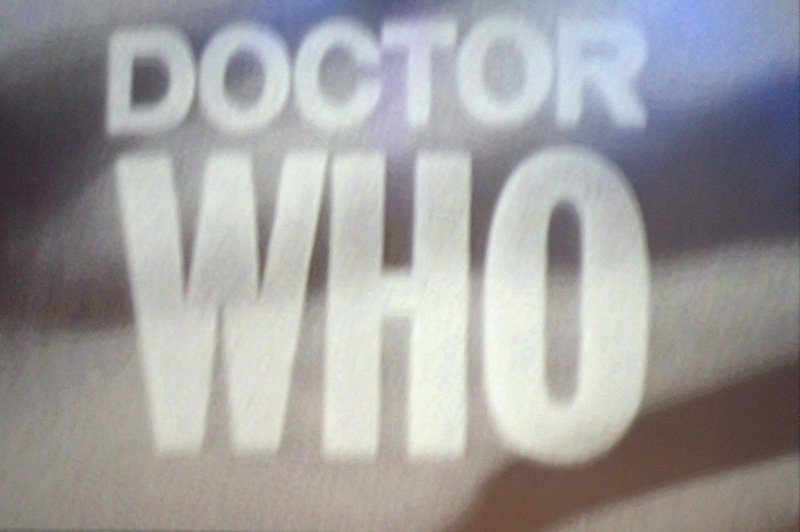 Now for some Series 7 excitement, with the Cybermen attacking from Nightmare in Silver and anti-gravity motorcycles from The Bells of Saint John. No Bah Bah Biker surprisingly, but it didn't matter because this was loud and fun. 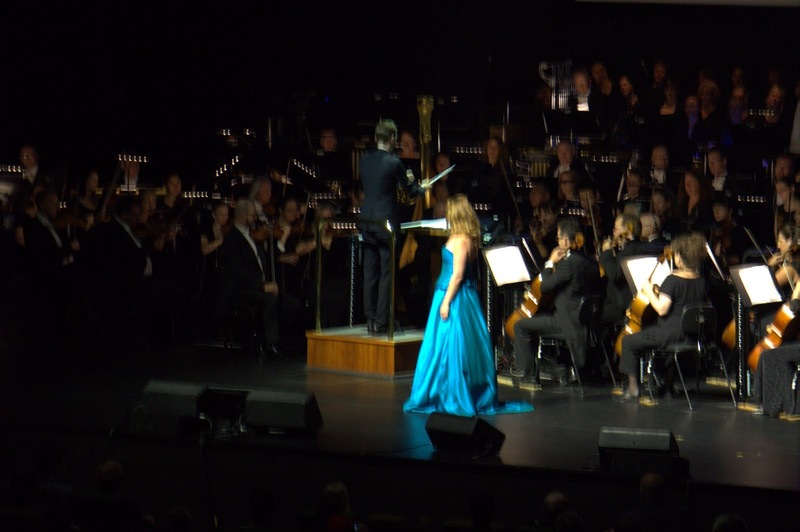 Excitement over, soprano Antoinette Halloran performed the haunting song from A Christmas Carol. Alex started to get fidgety and was making too much noise with his sonic screwdriver. 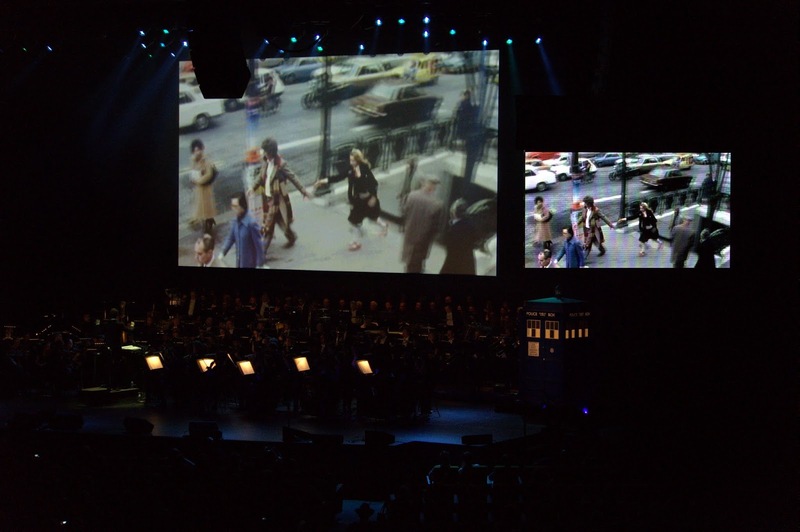 Back to the classic era of Doctor Who with a medley of music from the various composers of that era. 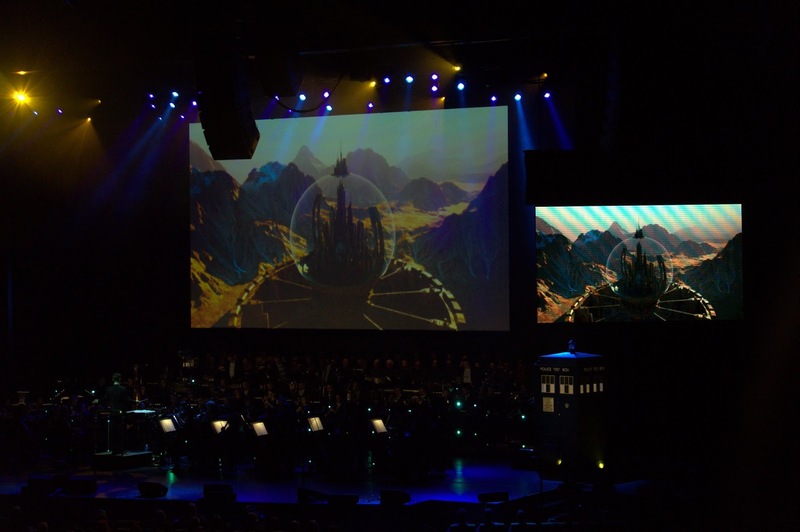 I have to say that I paid very little attention to the music prior to the Sylvester McCoy episodes, but I found myself rather enjoying the medley, along with the accompanying scenes from the program and the BBC Radiophonic Workshop. It was from before B and Alex's time though. Music and imagery to accompany the last appearance of the companions Amy Pond and Rory Williams that built to a powerful crescendo. Very affecting. Child soprano Greta Wilkinson and tenor Paul McMahon performed this gentle song to round off the first half of the concert. 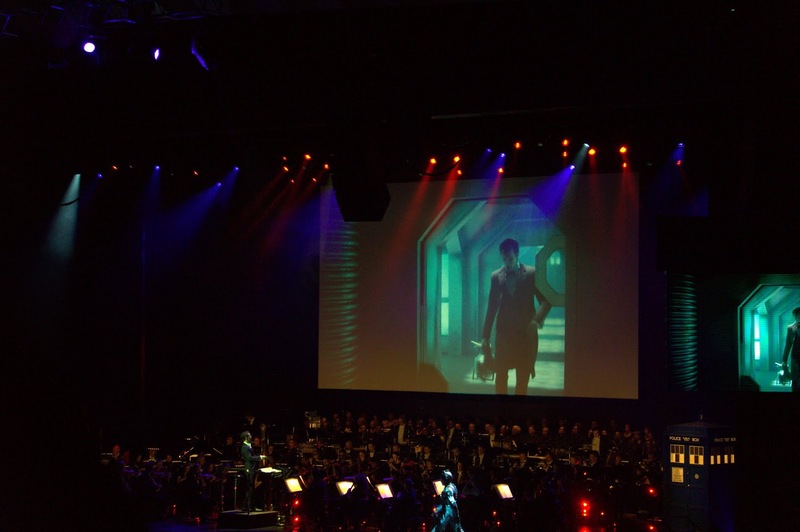 The action theme for David Tennant's Doctor is one of Alex's favourites and was even more exciting live than in recordings as a succession of aliens appeared on the big screens above the stage. Fantastic! I love this delicate theme for Clara. 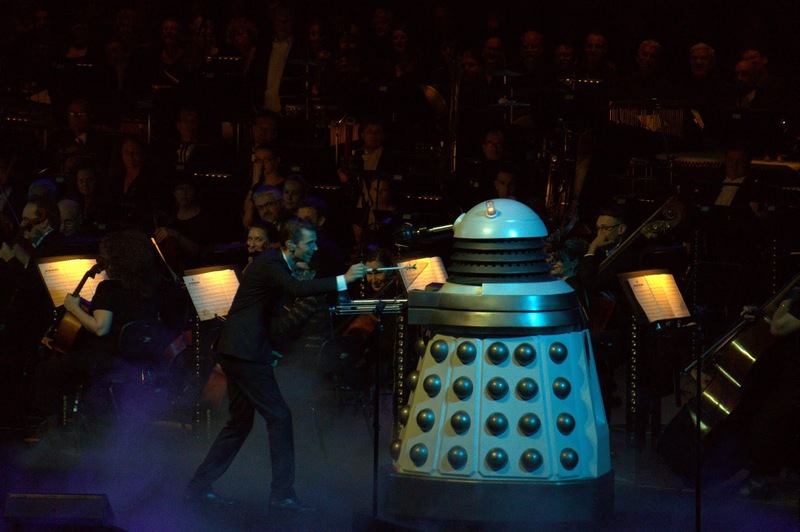 More early season music, this time the loud chorus to the Doctor's most feared enemy, the Daleks. 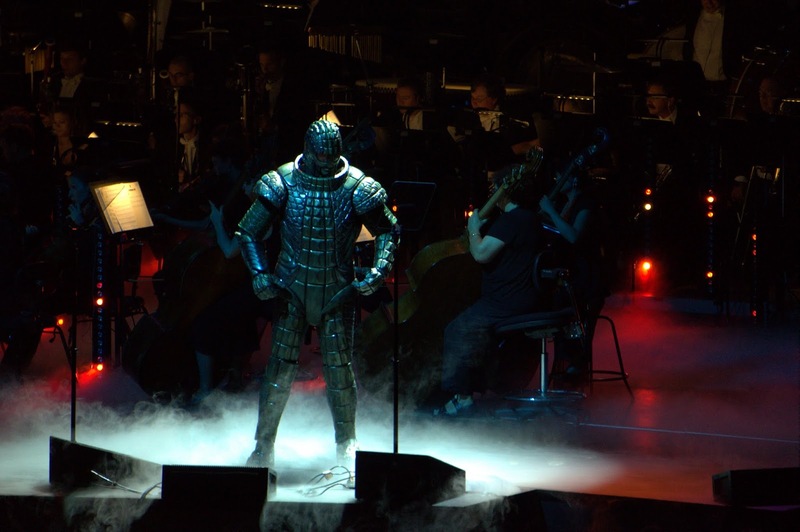 The music and imagery brought a visceral fear to the concert, more so than the "New Paradigm" Daleks patrolling the floor and accusing Ben Foster of over acting! Almost enough to get you hiding behind the seats in front of you! The Doctor arrives on the planet of his death. I was a bit surprised it lacked some of the excellent themes from this episode, especially A Secret He Will Take to His Grave, but I nonetheless enjoyed it. 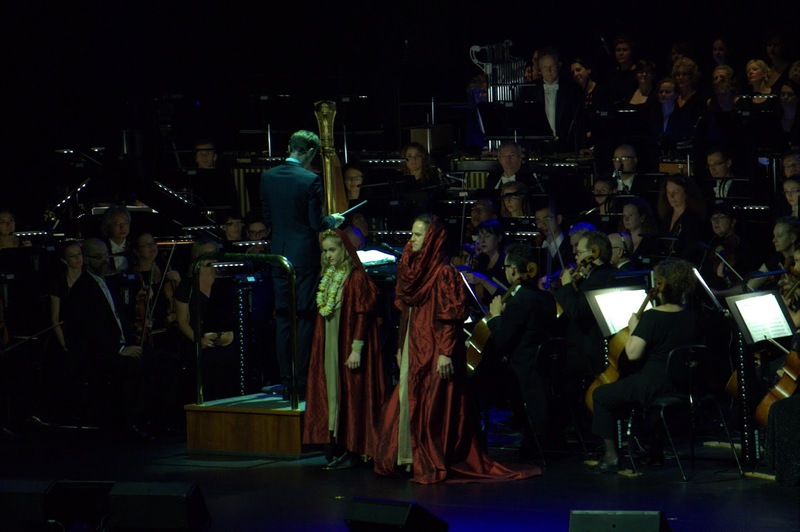 A celebration of fifty years of Doctor Who, starting with This is Gallifrey, it was the first time I've been able to really enjoy a live performance of that emotive music with cheering at every regeneration - it wasn't shown this time. 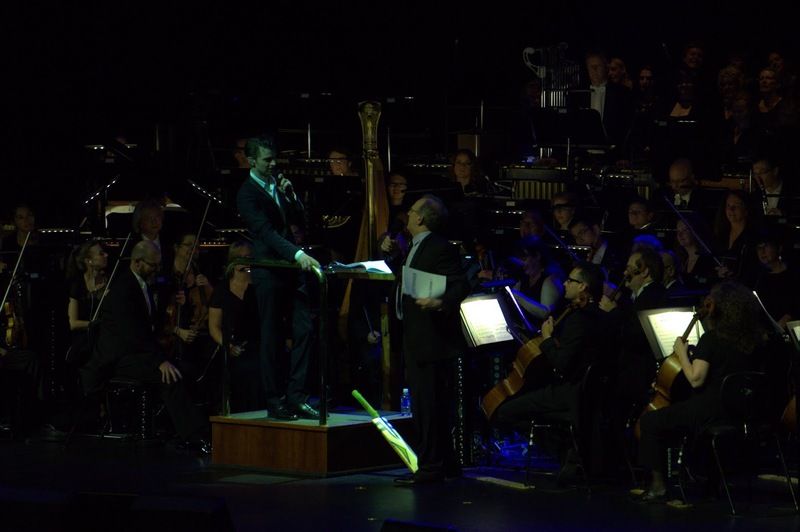 Then it moved to a new perfomance, the Song for Fifty, with Antoinette Halloran and Paul McMahon singing. Unfamiliar, it dragged a bit. Further listening, when it becomes available, may bring out the nuances and further enjoyment. Matt Smith's final episode, the recent Christmas special, was both poignant and exciting. 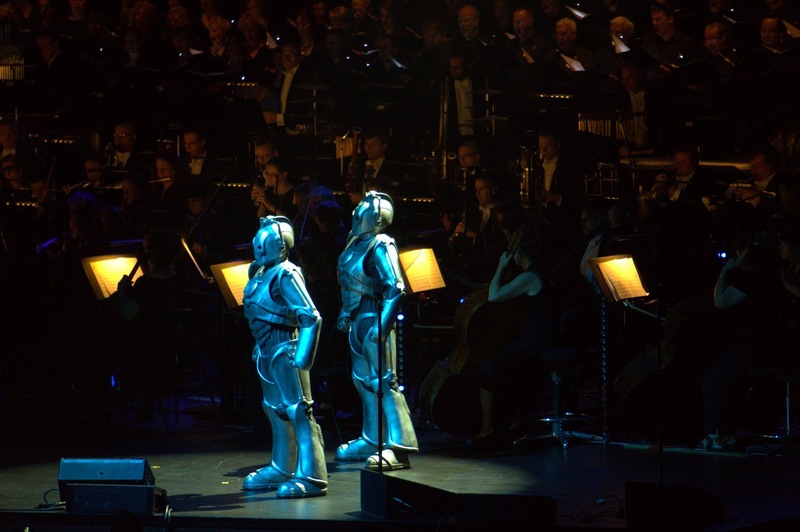 That brought the programmed music to a close, but naturally there were a couple of extras. 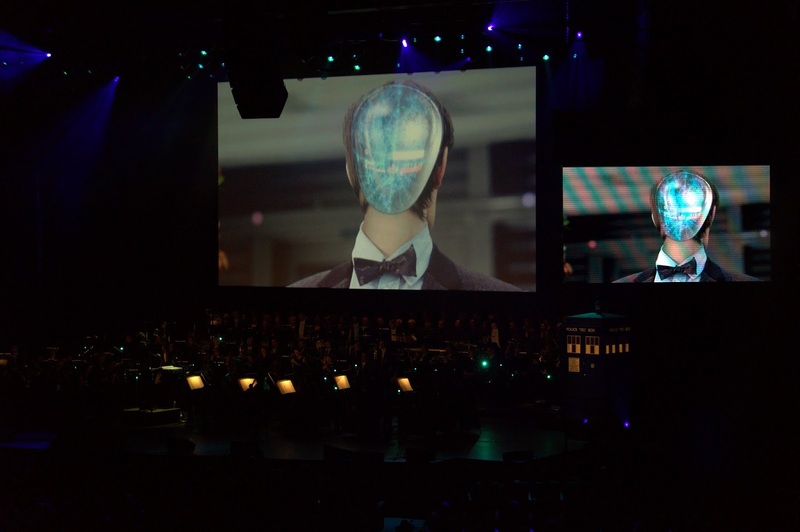 This time sung by soprano Halloran rather than a counter-tenor, the regeneration sequences were now complete as the music carried the emotions of David Tennant's end. 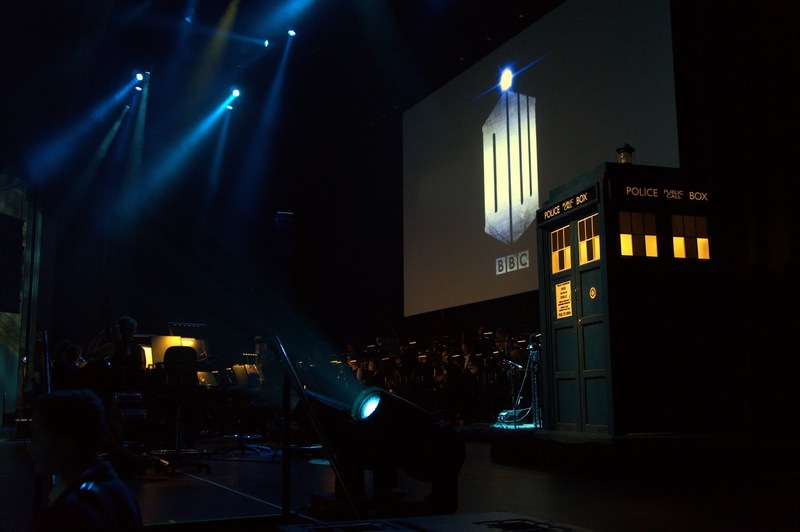 How else could the concert end but with the title music to Doctor Who? But somehow it managed to be even more rousing than ever before. What a finish! 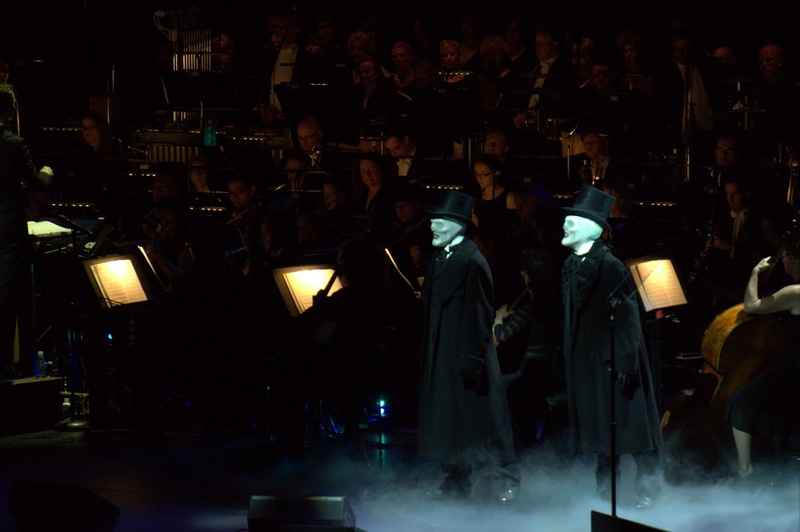 I thoroughly enjoyed this performance of the music to Doctor Who. There was a wonderful balance between the old and the new. 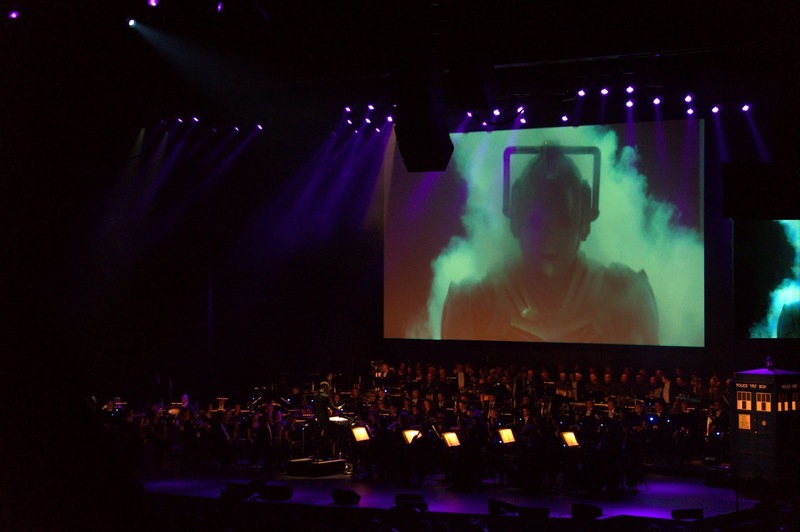 My only quibble was that I felt that the music from the speakers (electronics, not people) possibly overwhelmed the actual sound from the orchestra. But that soon receded into the background. B wasn't as familiar with some of the Series 7 music (she won't let me play it in the car) and with the classic era of Doctor Who, so she didn't enjoy this concert as much. And unfortunately, Alex was also affected by this and was rather troublesome at times. 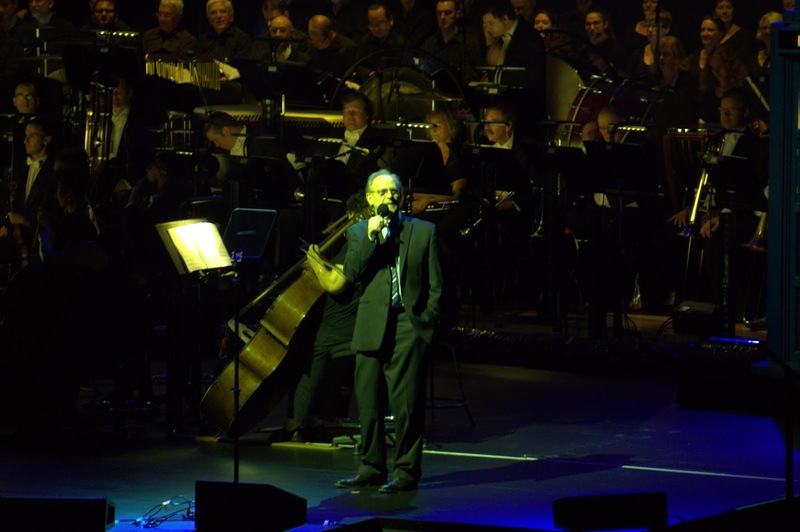 A pity after he behaved so well at many orchestral concerts. Growing up perhaps. Anyway, I still got tingles down my spine during the performance and have been hearing the performances resound in my head in the days afterwards. 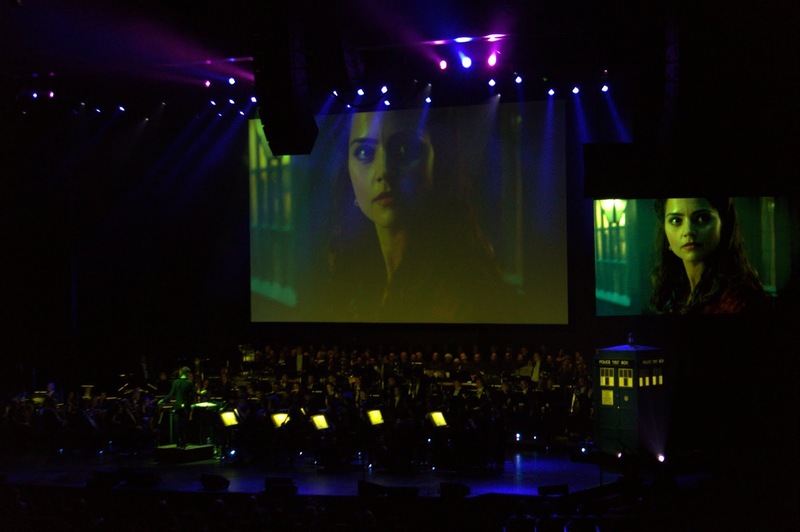 Long may Doctor Who remain on our screens and long may Murray Gold and Ben Foster keep doing the music for it!